Growing up my father was a speed reader and book addict, something he has passed down to me. My parents even had a separate lounge which was off limits to children and was kept mainly for entertaining friends and being a quite space for my father to read. 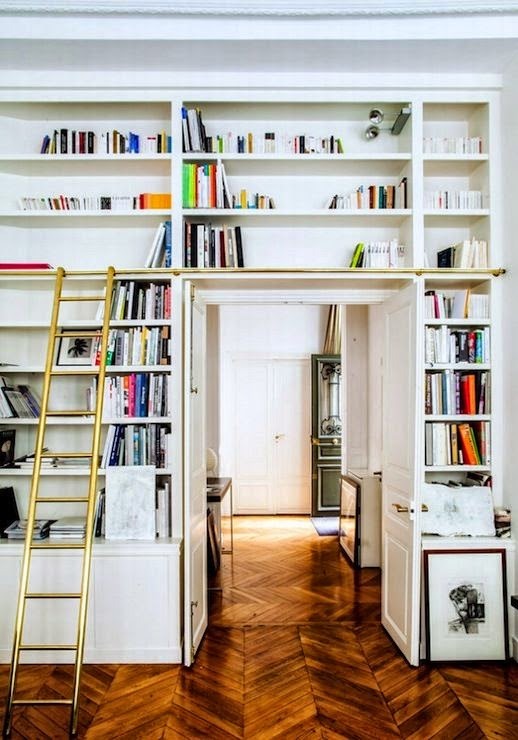 One side of the room had floor to ceiling book shelves running right across it and like the image above it's something I would love to have as well one day, although for now we are working with what we have which are to unloved alcoves in our little house. As some of our readers already know we recently bought this cottage 6 months ago and are slowly making a few improvements before selling it next year. One of the things was have been working on are the previously unused alcoves in our living-room. You can never have enough storage space and we both love to display our array of books. 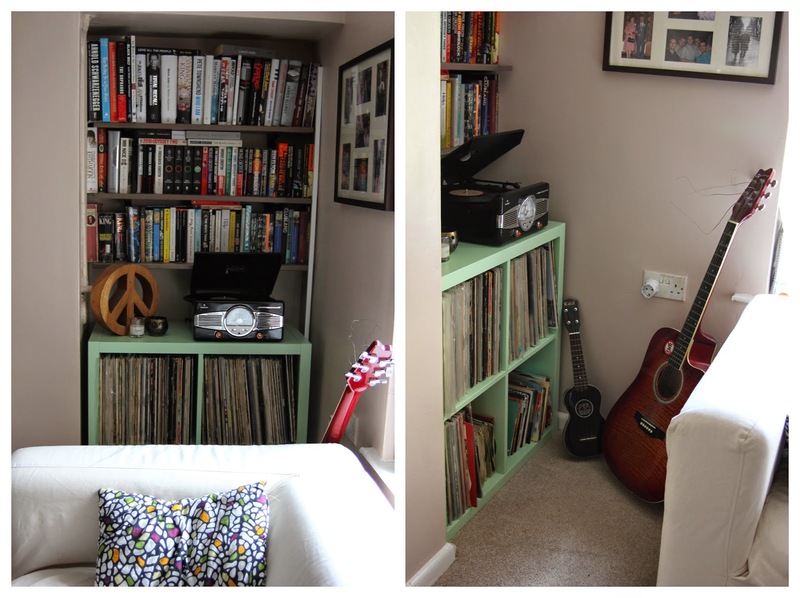 I recently did a post about our record corner which has now been further improved with these nifty little storage units we picked up from Ikea and allow us to have shelves with books above and either records or bits and bobs below in an organised manner below. I also love the new spring/summer colour schemes they have and once we have painted the room a more neutral jasmine white these pastel green units will pop a lot more. We have two alcoves in the living room both of which are now full to the brim with books. Both John and I love to read and think is something that is really important to pass down to little ones. Mr A never goes to sleep without at least two or three stories and we often catch him paging through his books in his bedroom or garden, reading to himself. So when I heard that the Bristol Company Umbrella were launching a new scheme to encourage children to read and are holding a free event next Saturday I had to share. The event – Little Readers Day out is taking place At-Bristol and is aimed at helping parents get the most out of reading books with their babies and toddlers, it's free and you can drop in anytime, aimed mainly at children aged 0-3 but older siblings are welcome too. There will also be storytelling, face-painting, crafts, rhyme sessions and a chance to talk to a reading expert as well as a few other surprises, so do try and pop down on June 28th. Reading is So important :) I've always read with my son and he loves to read to himself (his interpretation anyway) as long as he knows what the story is meant to be about. Oh Shame it's not in London, I think my son is going to be a book lover, he just picks up his books and turns the pages. He can't speak yet, let alone read, but it's definitely something that we, as a generation, need to encourage!! Reading to them from day dot is so important! We each have so many books, in almost every room in the house & i don't know where I'd be without them! We love books!!! Last time we moved, we had SO many boxes full! We have floor to ceiling bookshelves in one room and they are all over flowing, as are all the other bookshelves in the house. The kiddos all love books and reading too!